Sources familiar with the investigation who spoke on condition of anonymity told AFP the New York state attorney general's office intends to subpoena the US Internet giant in the case. 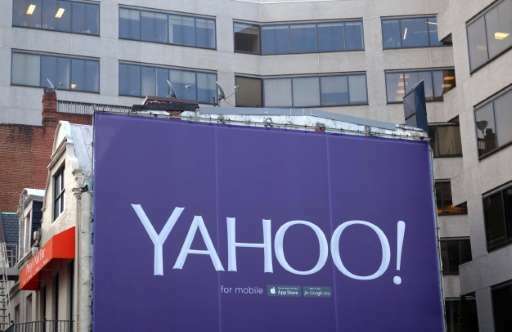 The extending of the probe to Yahoo was first reported by the New York Times. Like other fantasy sports sites, Yahoo allows participants to select players for a virtual "team" and then use the real-world performance of the athletes to win prizes. In an emailed statement, Yahoo said it does not comment on legal matters but noted: "We are monitoring industry trends and events closely and believe that we offer a lawful product for our Daily Fantasy Sports users." New York state officials are seeking a court order to shut down fantasy sports websites DraftKings and FanDuel, claiming they are in fact gambling operations illegal under state law. Schneiderman issued an administrative cease-and-desist order on November 11 following an investigation by his office concluding the two websites are illegal gambling operations. The companies claim they are games of skill rather than gambling operations. But the two firms shut down operations in Nevada following a similar investigation. New York officials argued in their legal petition that daily fantasy sports contests "pose precisely the same risks to New York residents that New York's anti-gambling laws were intended to avoid" and called them "a serious and growing threat to people at risk for, or already struggling with, gambling-related illnesses."